To say the scallops were delicious doesn’t really come close — I would say this is one of my favourite servings —of one of my favourite starters….Caramelised scallops, pea puree, prosciutto crisp, radish and baby herbs – Yum, Yum, Yum!!! I had to follow the Seafood linguine with a spicy chilli and garlic sauce with a lovely grating of fresh parmesan on top. 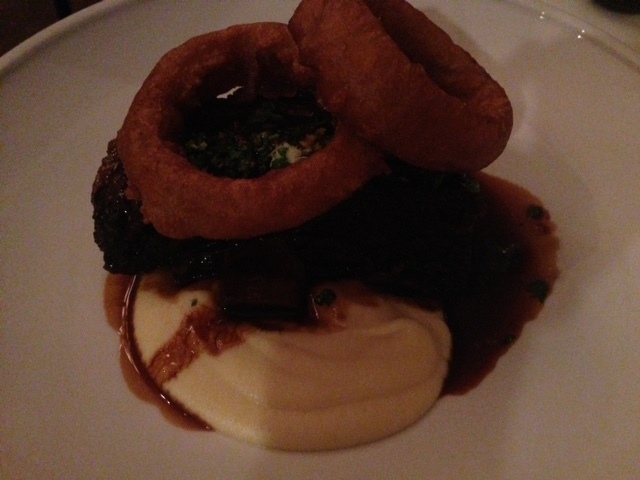 My hubby had the slow cooked beef rib with celeriac puree and some rather out of place over-sized onion rings which whilst tasty was out of place on this rather sophisticated plate . 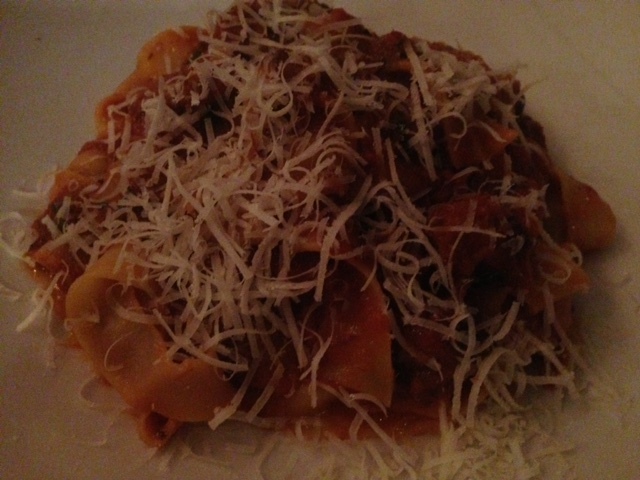 The horseradish gremolata was a triumph and the whole dish came together rather beautifully. 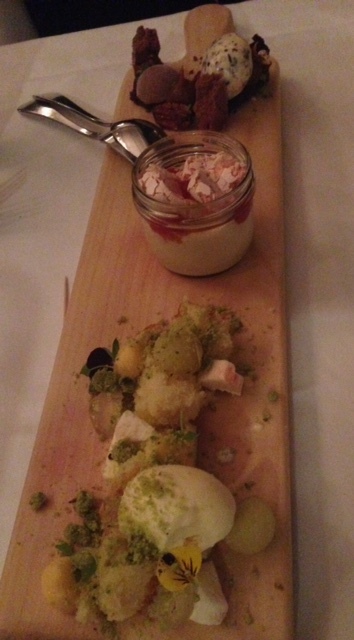 To follow we availed of the interesting dessert tasting plate, which allowed you to try a few of the chef’s delights…one of which was the simply gorgeous deconstructed apple mousse, sponge cake with limoncello, pistachio crumbs and a yummy lemon gelato. Another rather unique dessert on the board was a Ruby grapefruit yogurt with blood orange pavlova, Campari jelly and citrus (gosh you just want to be in a gondola cruising down the canals in Venice whilst eating this). Can’t wait to return for another candle-lit elegant supper.